Lamar Advertising gave everyone the opportunity to share holiday cheer and express gratitude on its digital billboards nationwide. 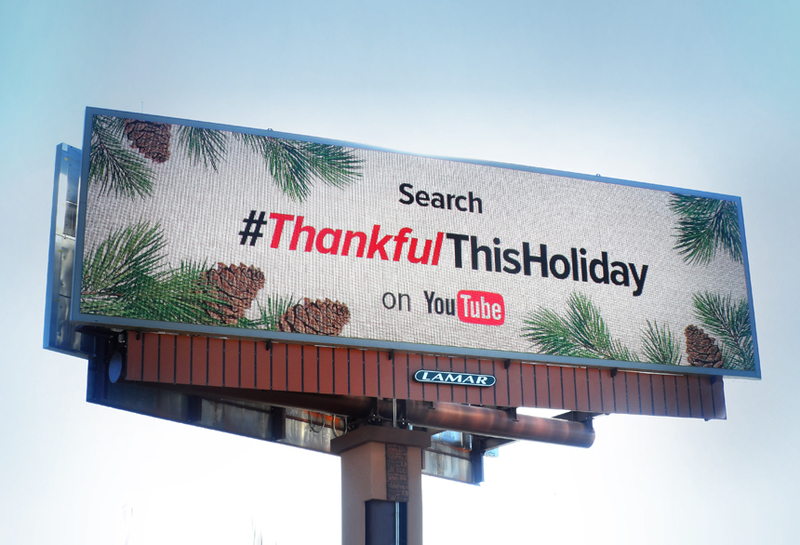 Throughout the month of December, user-generated photos shared on social media with #ThankfulThisHoliday were displayed on more than 750 digital billboards across the United States and Puerto Rico. Lamar announced the campaign with a short video the week of Thanksgiving and featured this message on digital billboards to point people to the #ThankfulThisHoliday video on YouTube.